Combating microbes and pathogenic organisms is a challenging endeavor. Protecting a facility from harmful bacteria, viruses, fungi, and parasites is a key concern for both you and your customers. 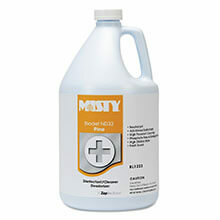 Amrep Misty® provides a complete assortment of products to maximize facility hygiene including RTU Disinfectant and Deodorant Sprays, Bath and Bowl Cleaners, Foaming Cleaners, and Dilutable Concentrates; all formulated with both technology and practical sensibility. Protect your building, protect your customers. Protect your promise.